South of Giulio Agricola metro stop stretches one of Rome’s best kept secrets – il Parco degli acquedotti –– as majestic in its way as the Colosseum but hardly a tourist in sight and not associated with mass bloodshed. There across Rome’s campagna the Aqua Claudia is still striding strong, in places two arches high. No wonder Frontinus, curator aquarum, dubbed it magnificentissimus. All the more so when measured against the Acqua Felice (after the 16th-century Pope Pius V, otherwise known as Felice Peretti) which runs parallel to it, a chunk of Acqua Marcia tacked on to the end. Pope appoints Special Envoy to Medjugorje. On Saturday, Pope Francis named Archbishop Henryk Hoser, S.A.C., the Bishop of Warszawa-Praga, as a Special Envoy of the Holy See to Medjugorje, Bosnia and Herzegovina. Burke said, “The Special Envoy of the Holy See will be in contact with the diocesan Bishop; the Franciscans, to whom the parish of Medjugorje is entrusted; and with the faithful” of Medjugorje. Archbishop Hoser, who will continue to exercise the office of Bishop of Warszawa-Praga, is expected to complete his mission by summer. 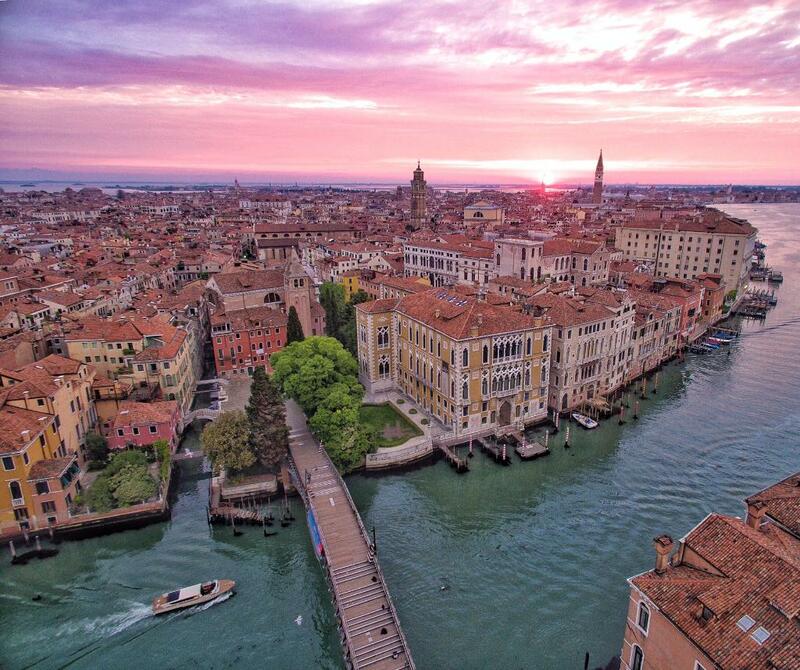 Some interesting facts about Venice..
Did you know that there are 118 islands, 416 bridges, 177 canals and 127 squares in Venice? American Academy in Rome: Cinque Mostre. 14 Feb-2 April. The 2017 edition of Cinque Mostre at the American Academy in Rome features five separate exhibitions and collaborative projects by current Rome Prize Fellows from several disciplines as well as invited artists curated by Ilaria Gianni. For more information see AAR website.